I am not able to read requests. There is a message stating the forms are suspended. Why am i get this message? Why can't I accept requests? 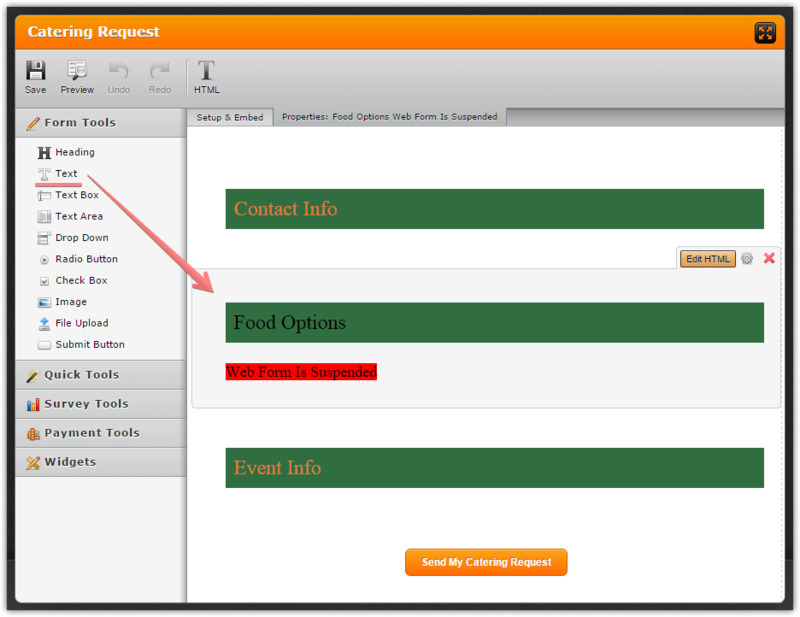 The suspended form message is just a text on the form. It seems that the form was updated to not accept further submissions. 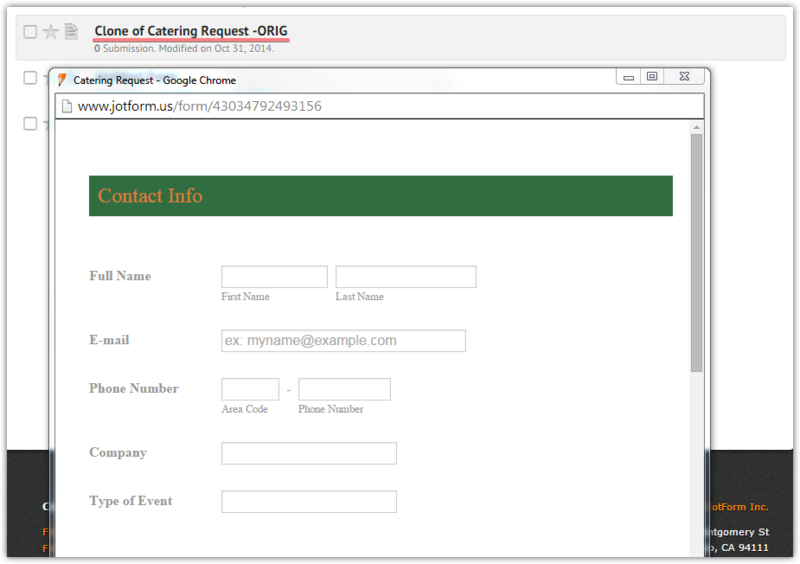 There is another form on your account 'Clone of Catering Request -ORIG' which looks complete. You might consider creating a clone of that complete form in order to use it as a fresh form.